Do you have goals that you want to attain? Do you believe you are capable of accomplishing more in your life? 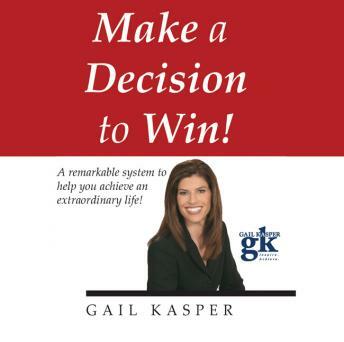 Gail Kasper identifies what separates those who have success from those who don't and provides solutions to tackle the obstacles that interfere with our ability to achieve excellence in life. Whether it's enhancing communication skills, time management issues, motivation, or a glitch in our goal-setting skills, Gail provides you with the tools you need to achieve extraordinary results in business and life. This series also includes a 21-day reinforcement program to build positive habits.